Get cozy, put your feet up, have your tablet ready for notes, and click into the Second Annual Bright and Quirky Child Summit coming to a computer near you. With accessibility and efficiency in mind, Kuntz wanted to keep the virtual conference free for 24 hours after each talk airs. “We have moms who put their children to bed and then spend five hours at night doing this,” she says, adding that the best bargain is to buy the All Access Pass for anyone who intends to consume a lot of the conference or use the information for their professional practice or family reference. If you sign up before the kickoff on January 28, you can get the Early Bird Special for $97, which allows you to download any or all of the 30 sessions from the following seven days, as well as receive written transcripts. All Access Pass holders can also opt in for a free three-month trial of The IdeaLab, an online 2e support and learning community where parents and summit experts can interact on an ongoing basis. So, if you’ve decided to tune in during the live week and now you want to best optimize your Bright and Quirky experience, Kuntz has some suggestions. “A good strategy is to focus your time on the talks that deal with what challenges your child has,” she says. The first day is dedicated to beginners, people just getting oriented to twice-exceptionality. 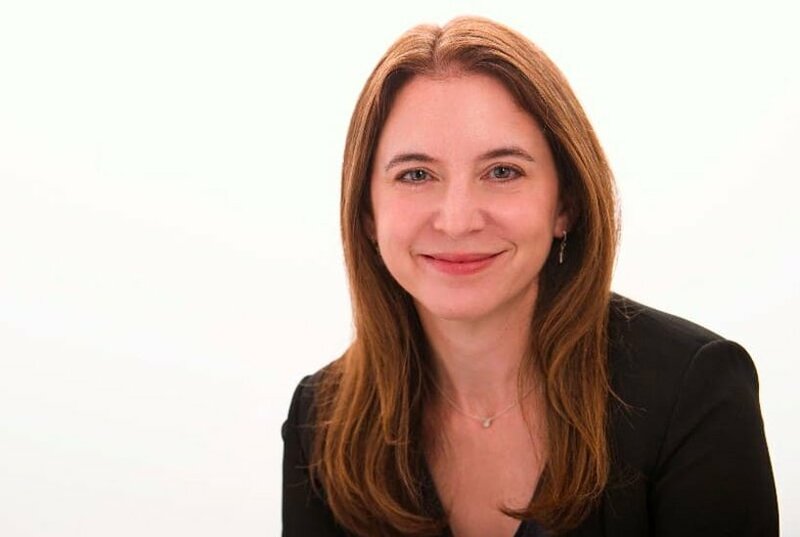 It features sessions by two well-known speakers: Dan Siegel, who emphasizes the medical and pharmacological aspects of neurodiversity, and Dan Peters, a psychologist who focuses on helping parents navigate through their 2e experience. 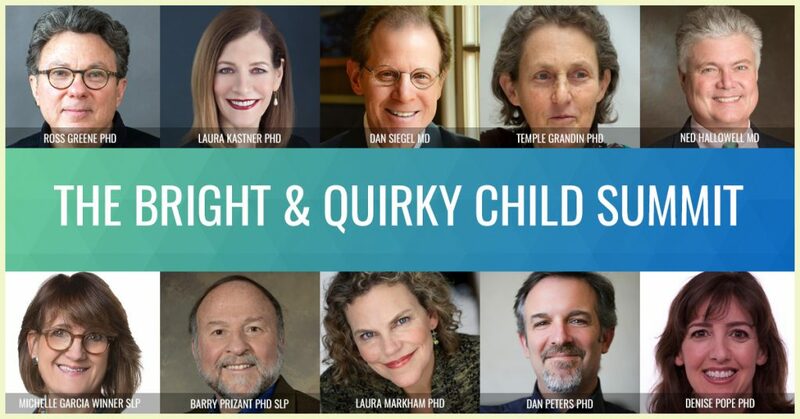 Day 2, Kuntz calls “Asperger’s Day.” Among other speakers, Barry Prizant will delve into many of the topics from his best-selling book, Uniquely Human, and Laura Markham will provide helpful advice to parents about keeping it together when their child is falling apart. A good strategy is to focus your time on the talks that deal with what challenges your child has. “On the third day,” Kuntz says, “we do schools and learning challenges with Susan Baum and Robin Schader talking about strengths and interests.” With very practical tips, Ken Shuster will guide parents through the labyrinthine process of getting accommodations at public and private schools, including the intimidating IEPs and 504s that have been known to keep parents up at night. This day has a fifth speaker in Colin Diedrich, who has a PhD in Molecular Virology and Microbiology, despite having endured lifelong and multiple learning disabilities. Day 4 is about social challenges. It features the engaging Temple Grandin, who draws from her own experiences as a neuro-diverse person and will talk about stretching and broadening kids and their outlooks on the world. One of the most worrisome aspects of raising 2e children is the prospect of them making friends and have fulfilling social relationships. Michelle Garcia Winner explains how she uses her social thinking system to coach kids through friendships. A big highlight for Kuntz will be Mike Cantlon, whom Kuntz calls “the grandpa you always wanted.” Cantlon started Camp Satori in Washington State for gifted kids and has something of a cult following. “He creates a magical environment for kids, a bubble for 2e kids to live in,” Kuntz says. “Every educator should watch his talk.” The day rounds up with Scott Barry Kaufman, who motivates his audiences with the positive nature of “quirkiness” and its flow of creativity. Day 6 is about Anxiety and, along with the entire slate, it includes Denise Pope, who says that we have it all wrong about how we define success for our kids. Finally, on Day 7, the focus is on parents and how they can help their child flourish without burning out themselves. Dan Siegel returns to give a “prequel” to 2e as he gets deep into the workings of the marvelously complicated and always surprising human brain. By attending conferences like this one and by tuning into to all the sessions, including those not mentioned here, that broader outlook not only on 2e, but on education, on childhood, and on life can start with only a click of the computer. Stuart Matranga is an author and journalist who has written for Rolling Stone, Maxim, and other magazines. As a teacher, he specializes in students who are reluctant readers. Stuart has extensive experience teaching and working with twice-exceptional students.